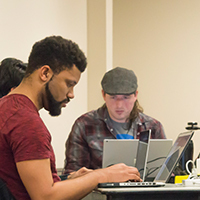 UC Davis Coding Boot Camp covers the in-demand skills needed for front-end and back-end web development. UC Davis Data Boot Camp teaches professionals the fundamental skills needed to turn big data into competitive insights. 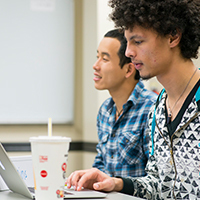 UC Davis Cybersecurity Boot Camp gives students hands-on training in networking, systems, web technologies, and defensive and offensive cybersecurity. UC Davis Continuing and Professional Education is an internationally-recognized leader in educational outreach for individuals, organizations and communities. Whether you want to accelerate your current career, shift to a new industry or simply pursue a personal interest, UC Davis Continuing and Professional Education has the expert instructors, academic quality and innovative curriculum that meet your unique needs. Why Learn In-Demand Skills at UC Davis? Our programs get students ready with the in-demand skills they need to advance or start a career in coding, data analytics, or cybersecurity. We combine an in-person classroom experience with dynamic curricula taught by experienced instructors. With extensive student support and a wide array of resources, we provide an education that will help you find a path to success. Our classes teach the latest market skills* for the fields of coding, data analytics, and cybersecurity. All of our programs offer convenient part-time schedules for students who wish to stay at their current job while learning valuable new skills at night, which is great for those adult students. Access UC Davis Boot Camps’ career services to support your transition into web development, data analytics, or cybersecurity. This program is offered through UC Davis Continuing and Professional Education, in partnership with Trilogy Education Services, Inc. In both our full-stack web development, data analytics, and cybersecurity programs, students will create a solid foundation of skills to help them become competitive in these industries. Students will have access to career services including portfolio reviews, mock interviews, soft-skills training, 1:1 coaching, and more. A Certificate of Completion from UC Davis Continuing and Professional Education, showcasing your accomplishments to future employers. Graduate with a robust set of hard and soft skills to prepare you to enter the tech market as you work to advance or change careers. A robust portfolio of projects or a variety of skills applicable to certifications to show your mastery of the topics covered throughout the program. Learn more about the student experience at UC Davis Boot Camps by exploring the coding, data, or cybersecurity curriculum, diving into the classroom experience, or reading student testimonials.